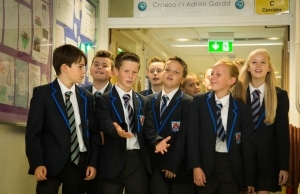 We are delighted to find out that the school has been awarded Green Status by GwE and the Welsh Government. This status confirms that the school is considered "Highly Effective" and follows reports and analysis of many aspects of the schools performance. Headteacher Simon Ellis stated - "Yet again we have been classified as Green, I must pass my thanks to all the hardworking staff and our fantastic pupils for this excellent achievement"